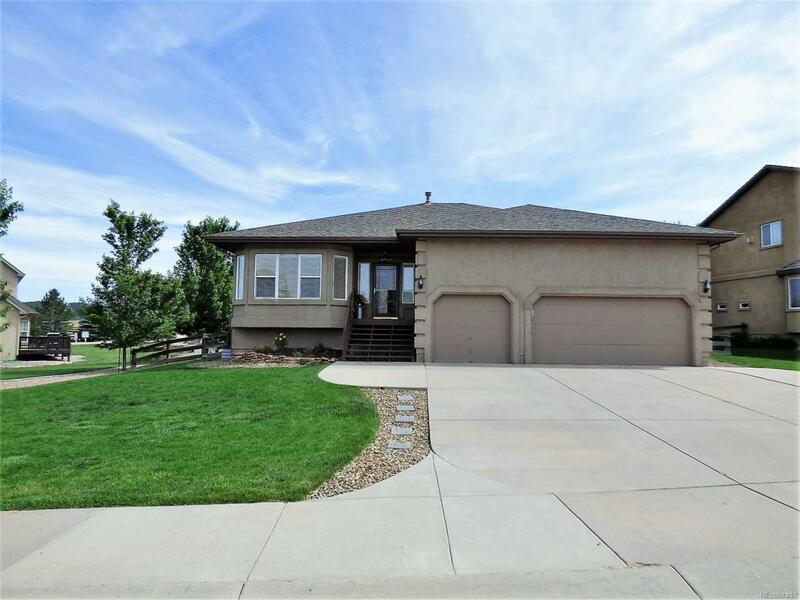 Here is your Rancher, this 4 Bed/3 Bath MasterBilt Home in Jackson Creek is Waiting for You! Bright! Clean! Quiet Main Level Living! Modern Great Room is Enhanced with Beautiful SOLID Wood Floors. Kitchen has Plenty of Counter Space, Separate Pantry, and Convenient Kitchen Desk. Walk-out from the Dining Area to the Spacious Patio and Fully Landscaped Back Yard. Main Floor Master Bedroom has room enough for a Sitting Area. Luxurious 5-Piece Attached Master Bath with Soaking Tub, Vanity Area, and Huge Walk-In Closet .Finish off the Main Level with a Large Office and great views of Pikes Peak and the Front Range.